The first Windows Phone handsets picked up by Sprint did not do too well in terms of sales, but the carrier is now ready to give Microsoft's platform another shot. By some time this summer, Sprint has promised to start offering its first two WP8 smartphones – one made by Samsung and the other by HTC. But will they be devices we're already familiar with, such as the Samsung ATIV S or the HTC Windows Phone 8X? The answer to that question is "no", it seems. 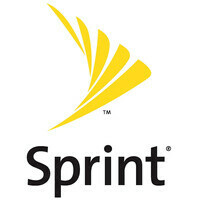 Ryan Sullivan – Director of Device Delivery at Sprint, said that the carrier will introduce "current" Windows Phone 8 smartphones. "We're working for current product launches, and not necessarily to launch on six-month-old hardware", he added. Good news indeed! What boggles the mind, however, is what will Sprint do to differentiate its Windows Phone 8 offerings from alternatives sold by other carriers. The platform is already pretty limited when it comes to customization and it is made to run on Qualcomm hardware – dual-core Snapdragon S4 with 512 or 1024 megabytes of RAM. Something innovative in the camera department, perhaps, or HD voice support, or maybe some other fancy tech we haven't heard of yet? Oh well, we'll have to wait and see. Interestingly, Sullivan also hinted that Sprint, which currently offers only Android and BlackBerry smartphones, as well as the iPhone, might spice up its lineup even further. In addition to Windows Phone 8, the carrier is open to smartphones running Tizen and even the new Firefox mobile operating system. Of course, these will have to materialize first before we hear any official confirmation regarding their availability through Sprint. Sprint could be working with microsoft to bring out the Surface Phone. should be nokia!! coz people will flock a nokia WP not on samsung or HTC! the latest stats prove that! nokia holds the tiger share on WP! I like Nokia myself but HTC and Samsung have huge followers as well. I know people who will only buy an HTC. Why not have all 3 like Verizon. What about BB10 Sprint? Are you gonna give them a shot? I don't think Sprint can afford not to give BB10 a shot. Sprint has far too many enterprise/government customers to give up on the BlackBerry. Got an idea for Sprint, Windows Phone 8 does not need 2GB RAM i know. But for marketing purpose Sprint could slap 2GB RAM with 13 Megapixel camera.